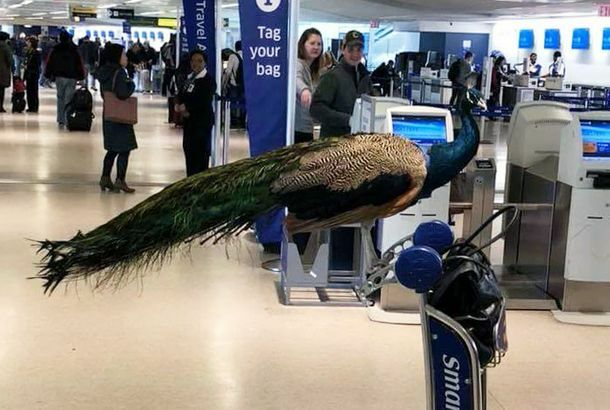 Turns Out You Can’t Bring an ‘Emotional Support Peacock’ on a PlaneRude! GOP Nomination-Process Guru Answers AllThe road through Cleveland often seems insanely complicated. But if anybody knows the answers to the key questions, it’s the University of Georgia’s Josh Putnam. The Two Sides of the Great Hoverboard War Start Gaining TroopsRussell Crowe and a hoverboarding priest versus Bill Bratton. The New Rules of Social-Media EtiquetteHating wedding hashtags is so 2013. Adulthood Is Made of Budgets, Soup, and MannersThe problem with most lists of adulthood advice: too many black lace bras and around-the-world trips. Q&A: The Woman Who Is Rewriting the Rules of PregnancyEconomist Emily Oster took a hard look at the stats behind conventional wisdom. Go ahead, have that glass of wine. Ten Street-Styling Tricks We Learned From Fashion WeekIdeas you can try this weekend, with things you probably already own. LIRR Bans Late-Night Weekend DrinkingJust on the weekends, though. Oscars Will Only Nominate Docs with Times ReviewsDocumentaries will have to have a New York or L.A. Times review to be eligible for an Oscar nomination. New Oscar Campaign Rules Target Twitter, FunNo more partying with nominees. Don’t You Know Who I Am?’Esquire’ ‘Rules for Men’ addresses dining and dialing, among other foodie topics. Should Critics Wear Microphones?One Chicago critic is called out. People Keep Coming Up With ‘Rules’ for Drinking, Fail to Realize HowThis is not that complicated, people. Going to Restaurants: Ur Doin’ It WrongStop salting your food, you dummies. In Shutdown, CrackBerrying White House Staffers Are a Few Clicks From the ClinkUsing a government-issued personal device during a shutdown could result in jail time. What It Takes to Work at Má PêcheCompulsive pointers need not apply. Inglourious Basterds, Single Man, and The Road Ineligible for WGA AwardsSome worried about whether Harvey’s decision not to send screeners might hurt the movies chances. Turns out they couldn’t win anyway. State Liquor Authority: ‘How We Doin’?’The SLA wants to hear what you think of it. How to Be a RegularThe most pleasurable way to dine is as a Regular — but how do you earn the house’s undying love and affection? Oh, the Guilt-Inducing Countertop Tip JarWhat are the rules for tipping in a takeout situation?